Submitted by Lin Lamberg this photograph was taken outside the Main door to the Technical School in 1962-63. Joanne Townsend, Jayne Robinson, Elizabeth ? Sandra Tether, Joy Bowler, Janet Pinches, Pat Hill. Elaine Gardener, (Diane Cox and Barbara Pearce just in front of Elaine Gardener) Susan Hellingsworth, Marilyn Bettis, Rosemary Hodgetts, Maureen Bottomley, Lynne ? Julia ? Susan ? Sheila ? Ellen Foxall, Pat ? Elizabeth Owen on far right. 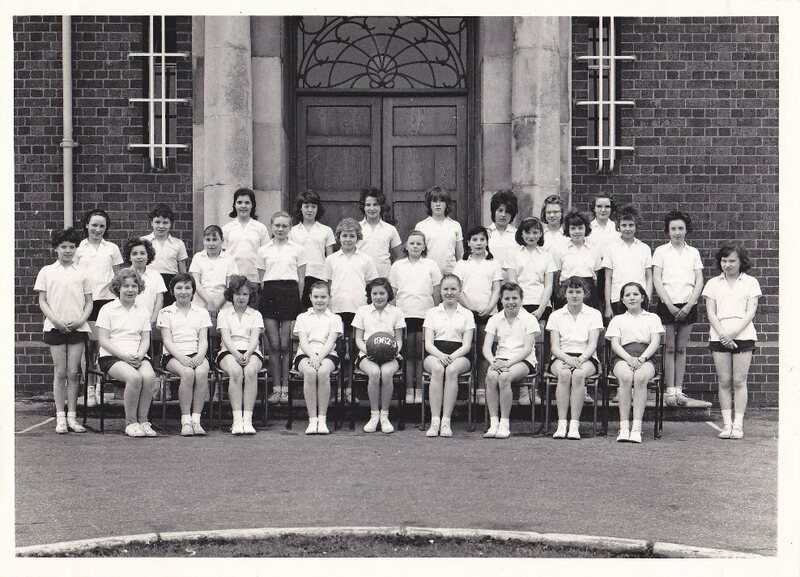 Linda Holland, Yvonne Griffiths, Rhoda Bell, Mary Delamore, Pat Male with ball, Sheila Crukshank, Lynne ? Michelle Harris, Susan ? Barbara Wendy Elizabeth Pearce who lived in Hagley. Marian is actually Marilyn Ann Bettis who came in from Walshes Farmhouse on the Severn Bridge (now the Old Beams pub) in Stourport - a journey and a half every day!! These two and others in the photo were in my year going through the tech in the good old days before the Grammar School merger. I will hunt out a few more old school group photos when next in the loft!! Can anyone help with the missing names?